Create a slideshow of your top products with a "buy now" button linking direct to the store page! The Smart URL for Mobile / PC detection is available to be used in the Promotional Tools area. After choosing the Add App tab, scroll down the page and look for the Photo & Video Apps. Find the ProductShow App and click for the "Add+" button. After pressing Add+, you will be directed to the App Builder. In this setting, you can upload images to be used for product slideshow. The recommended size for the images is 793 x 446 pixels. Also, added options can be found in the page such as the Autoplay productshow option where it enables you to display a slideshow of your images in an autoplay manner. Meanwhile, the Show thumbnails option enables you to display a row of your product images under the primary image, the function is only available to Gold Plan level. The image rotation speed function allows you to set your own display duration of each product image in your slideshow. You can drag each image on the slideshow to change their sequence in accordance with your preference. Click the pencil icon to include a title, a Buy Now button with link to purchase and a URL. Any image you upload has both a custom url option for the image and another url for the Buy Now button. This is perfect for directing to your e-commerce, Amazon store, or PayPal. The next setting is the Facebook Settings. Publish your Facebook tab with the use of this setting. All you need to do is enter your fan page, tab name and tab logo. Speaking of logo, the ideal image size for it is 111px by 74px. The Create your own application button found below enables you to key in your App ID and App Secret on the blank fields next to them. 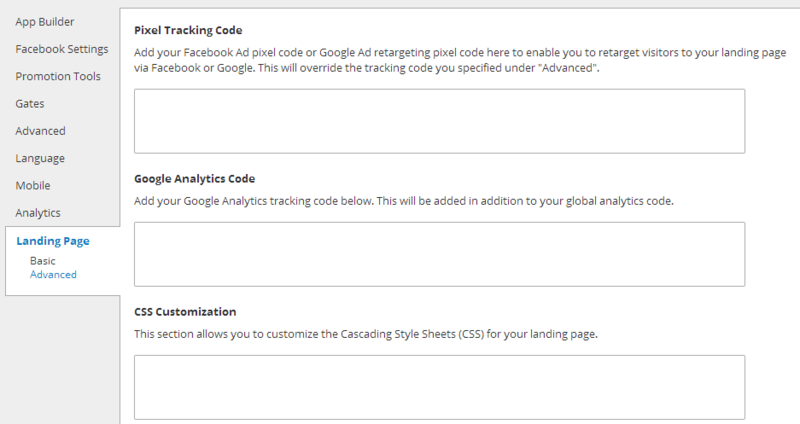 The third setting is the Promotion Tools. It is comprised of Social Sharing Options, Blog/Web Call-out Tool, Post Planning and Comment System. These options can be customized to prepare them for sharing. The Social Sharing Options is the first sub-setting in this section. You can customize the app with the social media platforms provided in the page. These platforms are comprised of Facebook, Twitter, Google+ and Pinterest. You can place the app on the page wherever you want, whether on top, bottom or both. As the site administrator, you are in-control of the social media platforms you are connected to. You can do the engagement process with the Like and Share button of Facebook, Tweets of Twitter, +1 of Google+ and Pin it of Pinterest. The Blog/Web Call-out Tool is an effective tool to drive additional traffic to your website. After you have uploaded the image, an automatically-generated embed code will display to a box beside it. The code can be placed to either your own website, blog or other websites. When visitors click your call-out image, they will be directed to your Facebook tab. 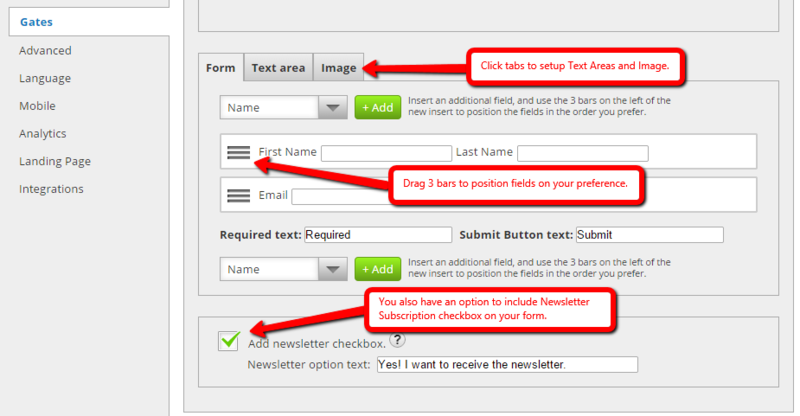 The Post Planning sub-setting enables you to schedule your posts to various social networks. It has three available scheduling services namely Buffer, Sendible and Hootsuite. An important reminder to take into consideration is to first save your page before clicking one of these services. The URL displayed by these services is a SMART URL because it is PC and mobile-friendly. The shortened URL forwards the users to the tab on Facebook you have created. The Comment System of the Promotion Tools allows you to modify the comment options of the app. When you check the Enable Comment System option, added options will display below. These options include "Allow visitors to sign-in to comment via Facebook or Form", "Comment Notification Emails" and Require comment approval. Your comments can be managed through the Manage Comments button located below the options. The Language settings contain two sub-settings, they are General and Comment System. The General section encompasses the two drop-down menus specifically the Like button language and the Tweet button language. These drop-down menus contain several languages which you can choose to use for your likes and tweets. There are also two options in this sub-setting, the Share button text and the Buy Now button where you can key in your preferred text that will appear in these buttons. The second Language sub-setting is the Comment System. It has two sets of input information, the Language Settings and the Errors. You can modify the texts written from boxes beside the descriptions of your language system and then later, you can save it after you key in your chosen texts. The Global Options make up the Mobile Settings. These options comprise of "Render desktop version on mobile" which enables users of mobile devices to utilize the content of the app in a mobile-friendly alternate version and "Use like gate on mobile devices" which enables users to use the like gate image to display the same information. Note: Mobile difference doesn't apply to all apps. 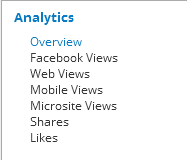 The Analytics section allows users to view the present situation of your app traffic and where is it coming from. It has several graph representations namely Overview, Facebook Views, Web Views, Mobile Views, Microsite Views, Shares and Likes. Click the "Save" button to save your setting changes. It is located at the bottom-right corner of the screen and is green-colored. After clicking the Save button, you will forwarded to the My Apps tab page. All the created tabs can be found here. You can add another one, test it and publish it according to your Plan features. In publishing your app, simply click "Publish" to go through the process of publishing it to your website or in Facebook.